New Zealand born Lydia Lowndes-Northcott began playing at age of 7, soon winning a scholarship to Wells Cathedral School, and later to the Royal Academy of Music in London. During her time there Lydia won many prizes including the Maurice Loban Prize for her outstanding final recital. Other notable performances included Hindermith’s Trauermusik with the Academy Soloists, and the premier of a new concerto for viola by Oliver Weeks commissioned by the Academy. 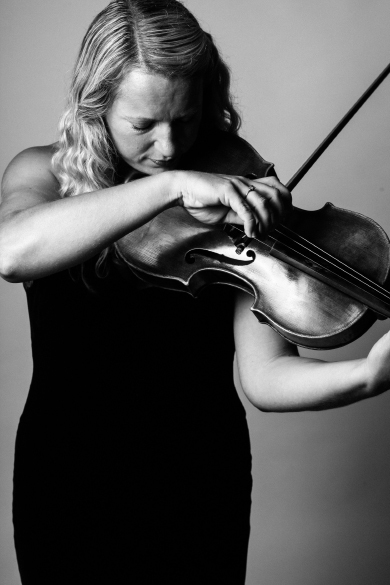 She has since worked with many professional orchestras including the London Sinfonietta, BBC Symphony Orchestra, City of London Sinfonia, English National Opera, BT Scottish Ensemble, the John Wilson Orchestra, and appearing as guest principle with the Bournemouth Symphony Orchestra. Also a full time member of the Royal Philharmonic Orchestra from 2007-2009, she is now a regular with the English Chamber Orchestra. quartet concert in the English Chamber Orchestra’s Young Artist Series with Jack Liebeck. She has been a member of the Tippett Quartet since the summer of 2012.